If you feel like you may be suffering from hearing loss, chances are someone will recommend you visit an audiologist. Just what is an audiologist, though? 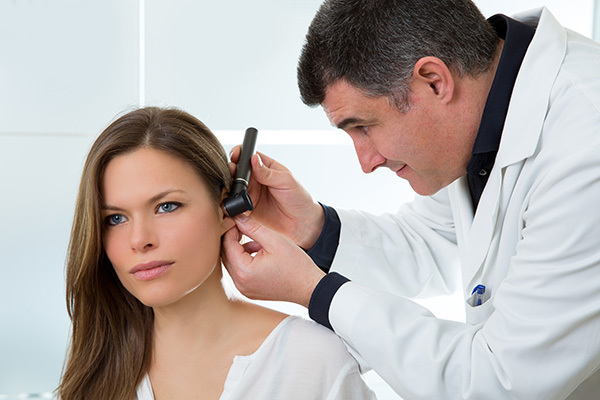 An audiologist is a healthcare provider that has a Master’s or Doctorate degree in audiology. They have undergone extensive, specific training to ensure your hearing health is their top priority. Audiologists provide educational support to help prevent hearing loss as well as treatment options for those who suffer from hearing loss. If you’re still unsure as to why you should choose an audiologist, here are some important reasons to consider. While you may first visit your family doctor if you start to experience symptoms of hearing loss, you will eventually visit an audiologist, either because of your own choosing or because of your doctor’s recommendation. This is because audiologists are trained specifically for your ear health. Family doctors or general practitioners will know the basics around hearing loss, but because they have to be well-versed on a number of topics, their education is reflected in this. Audiologists, on the other hand, spend all of their education learning about the ear. Audiologists spend time, both in the classroom and in practicums, to learn important information about ear health. Furthermore, they keep up-to-date on the latest information about hearing loss, preventative measures, diagnoses and treatment options. You won’t find somebody with more information about the ear and its health than an audiologist. What type of hearing loss you are experiencing and how severe it is determined by a series of tests performed by audiologists. A professional has to be well-trained in order to be accurate in conducting tests and to understood the findings. Audiologists will be able to both, administer the tests and analyze their results before explaining them to you. Audiologists will also be able to create a treatment plan that is best suited for your needs. Chances are, your hearing loss is a result or cause of other ailments. Audiologists are aware of this and through diagnostic tests they will also look for other health issues. These health issues may include dementia, depression or anxiety. It’s important for an audiologist to be aware of these health links so they treat you as a whole rather than just one part of your body. Most people that experience hearing loss are recommended to have a hearing aid. Audiologists are experts in this area. They can help you navigate the many different types of hearing aids and explain the best way to take care of and maintain them. Audiologists are able to fit your hearing aid and customize them for your own specific needs. They will set up a plan with you for routine checks with your hearing aid as a way of monitoring your ear health and the function of your device.